Published on February 21, 2017 in General T&T, Passed on and Politics. Closed Tags: Leo Bertrand Seebaran, Stephen Kangal. The late former Permanent Secretary of The Ministries of Legal Affairs/ National Security, Mr Leo Bertrand Seebaran passed away on my 77th birthday- Saturday 4 February 2017. 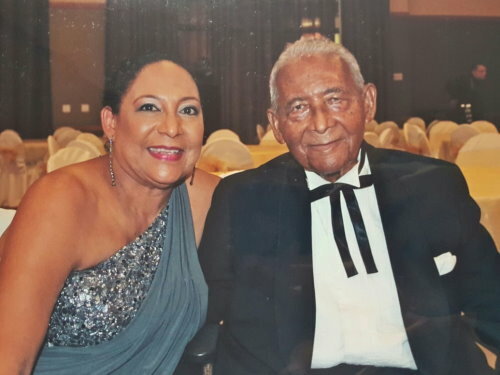 He was fondly and respectfully conferred by residents the aristocratic accolade of The Baron of Jumbie Peace in grateful recognition and appreciation for his devotion, humanitarian assistance and loyalty to the people of Caroni with whom he lovingly interfaced for 91 productive years. Leo was socialised and moulded from birth by the centripetal forces of the growing confluence of port and plantation, road and railway, agricultural and industrial, the douglarisation of Indian /African and the disciplines of rural secondary Naparima College reinforced by the academic excellence of urban-centric QRC. He was born 1926 in famous and notorious Caroni Village. Within a radius of twenty metres from his birth-place were the residences of the late Wilfred D Best, well known author of the Students Companion, the Late Bhadase Sagan Maraj, Pundit Krishna, business-magnate and icon, the late Ayoub Mohammed, current ENT Specialist, Dr Esau Mohammed, current MP for Couva South/Trade Union Leader Rudy Indarsingh and Mr Justice Lennox Deyalsingh (ret’d). Also located within his above- mentioned birth- zone were the Caroni Railway Station, the Village Post Office, the only route from POS to San Fernando- the Southern Main Road and the Trinidad Government Railway (TGR) Line as well as the Caroni Police Station and Caroni Canadian Mission School to say nothing of the thriving Caroni River Plastering Sand business that generated enormous wealth to the villagers until the mid-1950’s. Those were the pristine glorious days when the Village brought up and assumed responsibility for the growth of the child especially this mixed-marriage child called Leo who symbolized, synchronized and crystallized the close harmonious relations conducted by the two main ethnic groups of Caroni Village- a mixed nodal, railway-driven community and transportation hub for both sugar and oil. Leo was a devoted PNM aficionado and faithful chela (follower) of the late former Prime Minister Dr Eric Williams beginning in 1956. He maintained his deep communal roots and links in Caroni till his demise. 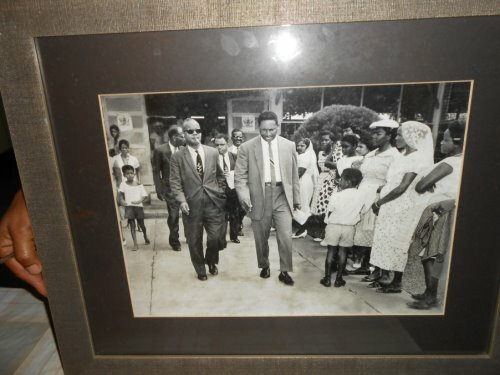 He was the catalyst for many decades behind the successful functioning of the Village Council and Community Centre that were officially initiated by the late PM Dr Williams whom Leo brought to Caroni for the second time – the first being in 1956 when the Doc held 15- minute railway stations -spot political meetings from POS to Siparia. The Caroni of Leo Seebaran was equally industrial, transportational and agricultural with the Caroni Rum Distillery, Sugar Factory and four Sugar Estates providing the employment attractions for, inter alia skilled personnel drawn from the port, of which the parents of Wilfred D Best were prime examples. His father was accountant at the Caroni Sugar Factory-defunct. Caroni Village has contributed to public service national capacity building with two Permanent Secretaries in the late Leo Seebaran and now retired but alive, Mrs Rita Adam. Leo was a community activist who bridged the growing political divide between the races in Caroni post- 1962. 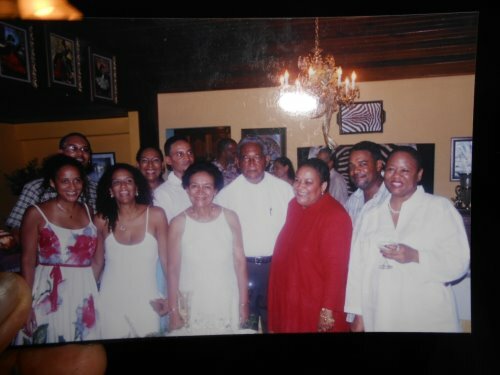 He assisted many Caroni families to break out from the stultifying strangle-hold of sugar and rice to gain education and lucrative permanent employment in urban- sub-urban entities. He did not deprive his native village of Caroni from his necessary indigenous community leadership qualities by relocating elsewhere as his contemporaries would have done in their legitimate quest to achieve social and economic mobility away from the rurally-marginalised village. I had proposed that the new Washington Roundabout of the modernized and dual- Southern Main Road located just opposite his residence should be named the Seebaran Roundabout as a fitting tribute to this devoted exemplar and iconic figure from Caroni. 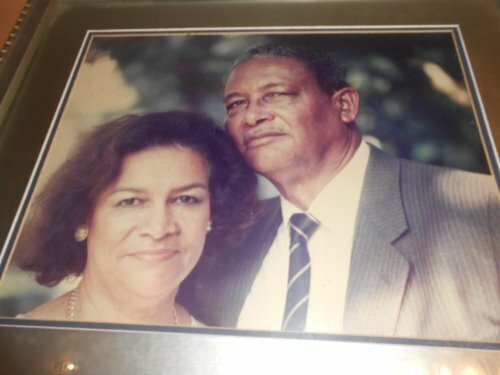 He volunteered to serve as Village scribe, mentor and pro bono adviser on education and career paths development to the growing young literate population descendants of the indentures who lived in the Caroni Barracks and the Village as the balance shifted from agricultural work to the skilled and the educated in the private and public sectors. May His soul be granted eternal rest!